This is an American wigeon. It is a dappling duck which is found through much of the West, and sometimes beyond. Dappling is a word for the ducks which tip up and feed by pulling up the shoots and aquatic vegetation found in shallow water. 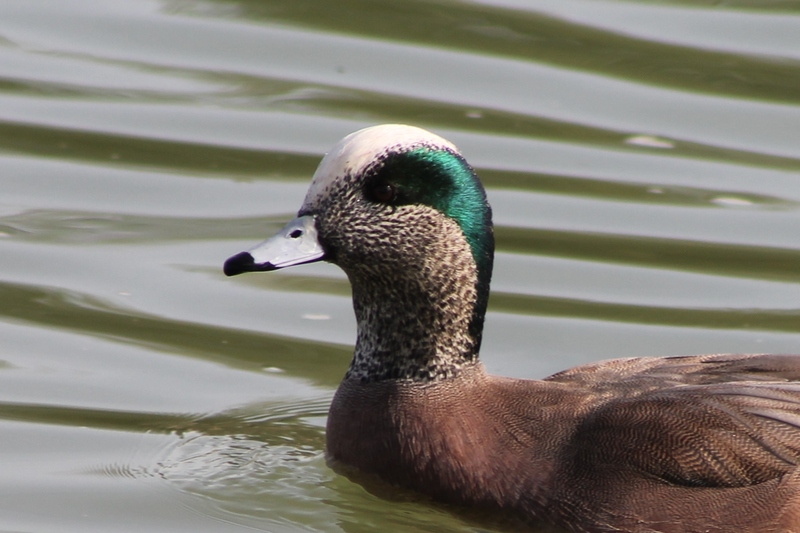 One of the noticeable features of this duck is the shorter bill. This allows it to have greater leverage than other dabbling ducks and therefore it can get to food they will miss. This difference also makes it more capable of grazing on land, so occasionally they will leave the water and uproot plants on the ground. These capabilities allow it to fit a specific niche in God’s design. Different creatures feed in different ways. If they all followed the same feeding patterns the world would be considerably less diverse, as well as unable to support itself. Food sources would run out and all the creatures would die. But God’s plan was for different animals to feed on different things, allowing for a self-perpetuating cycle. Diversity allows for survival better than a lack of diversity. In the Christian church we have a similar circumstance with Spiritual gifts. God designed different believer’s with different capabilities. The diversity of gifts in the church allows the church to function by allowing different persons with to serve the church in different ways. One of the things every believer should do along the way to maturity is to consider how they were designed as individuals to accomplish their part in building up their church. This includes personality, experience, passion, and giftedness.